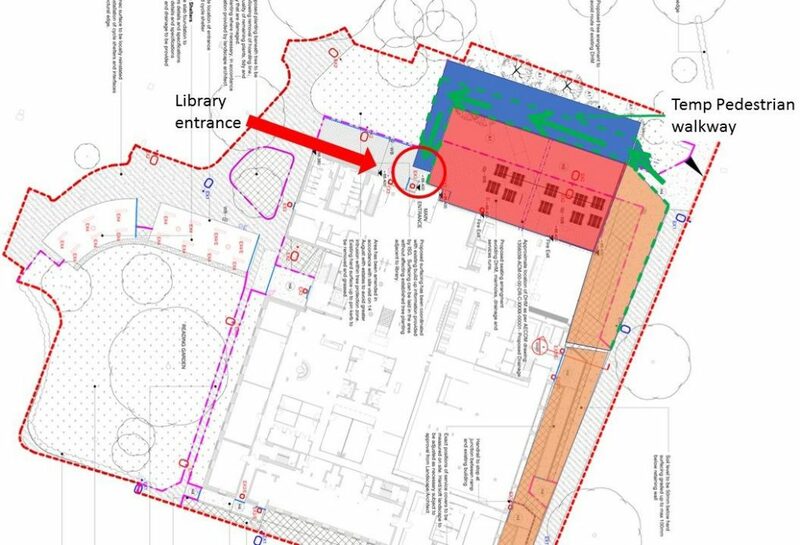 New walkway to Library building entrance (marked in blue). Starting this week, there will be a new temporary walkway created to access the Library building. This will allow landscaping work to be undertaken next to the Library entrance. This new walkway (marked on the image in blue) will be slightly further away from the building. This will be used when approaching the Library from the direction of Palmer quad or Whiteknights House. Access from the direction of the URS building remains the same. The area marked in red is where the landscaping work will be taking place. This work is due to be completed at the start of May. To keep up to date with the latest Library refurbishment news, please visit the Library refurbishment webpage and look out for posts on this Library blog. Look out for new #UoRStudySpace Assistants to help you find space in the Library@URS, Library or some alternative campus buildings. 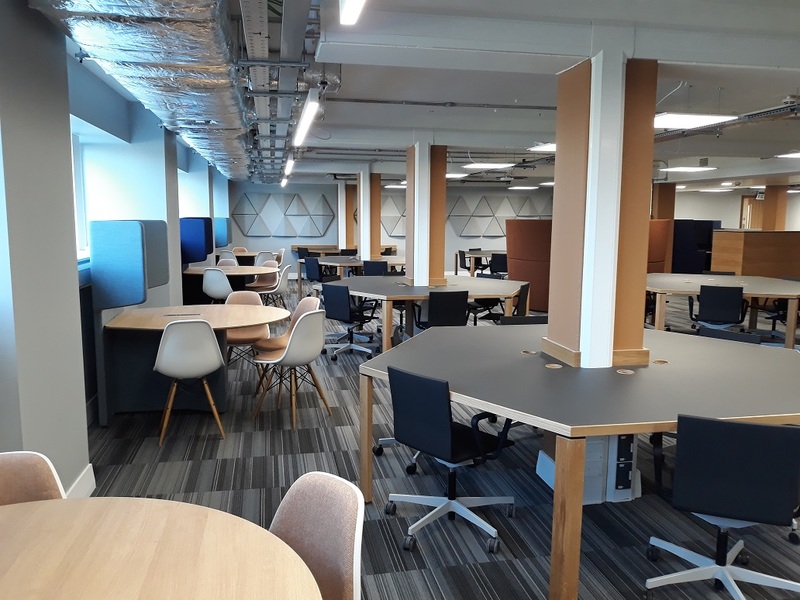 We are pleased to announce the University has funded new Study Space Assistants, now in place to advise students on study places available in the Library, and some other campus buildings, during the final months of the Library refurbishment. Operating term time Mondays to Fridays 11:00-17:00, they’ll check study space capacities in the Library and Library@URS, and other nearby buildings, such as Edith Morley and Palmer, to let you know where there are free study spaces. They will also support the Library team to implement our ‘anti-desk hogging policy’. Look out for assistants in person, and for their Library social media updates using the hashtag #UoRstudyspace (Instagram, Facebook, Twitter). As a reminder, our anti-desk hogging policy means that leaving your belongings (but no valuables!) for less than an hour while you borrow a book or get refreshments for example is not a problem. However, Study Space Assistants will be placing warning cards on any unattended desks wrongly ‘reserved’ for longer than an hour and directing other students to use them. During term-time, Library@URS provides quiet study space 24 hours a day. 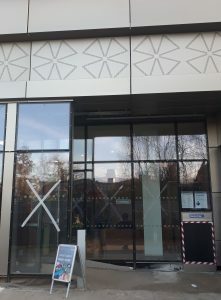 The Ground and 1st Floors of the Library building can also be used for study during term-time 09:00-22:00 daily, but please remember that construction continues until autumn 2019, so there will be noise associated with this. Check the Library opening hours page for full details. 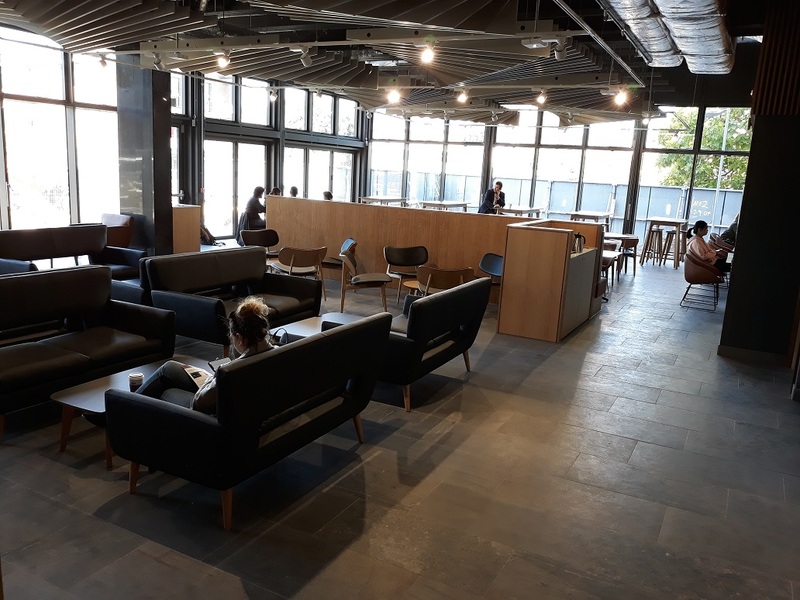 A Student Services blog highlights extra study areas in Edith Morley (near Support Centre + SAIL Away upstairs), Palmer building (foyer), Chemistry building (lobby areas) and some halls of residence to increase opportunity during the Library refurbishment. Find out where to study across campus at www.reading.ac.uk/study-space. Our Library building refurbishment has now progressed, with demolition of the stairs behind the existing lifts beginning this month. You may experience construction noise, despite the acoustic partitions that have been put in place to help reduce the volume. 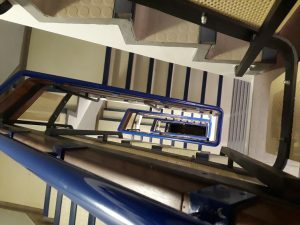 Here is our advice on how you can still get to upper Library floors and find alternative, quieter study space. Say goodbye to the staircase behind existing lifts! Although we will no longer be able to use the stairs behind our existing lifts, access will be maintained to two lifts until our new lifts are ready. The big central staircase leading up from the main hall remains our main stairs, with other stairs around the edges of the building available for emergency evacuation. Library refurbishment: ground floor toilets. 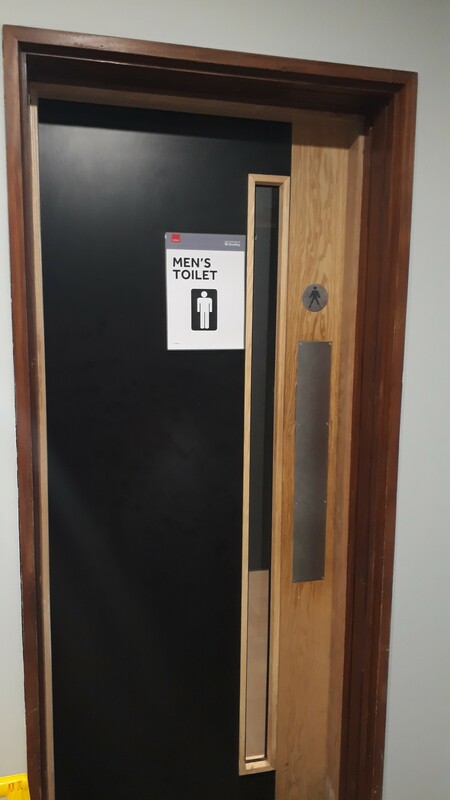 From Monday 22 October 2018 the ground floor toilets in the Library will be fully open to the public. The toilets previously assigned as gender neutral will now be male only with a new set of female only toilets placed alongside. A new gender neutral toilet will be available for use with a planned baby change table to be installed at a later date. Finally, a new accessible toilet will be opened alongside the rest of our new facilities. These facilities are located to the right as you enter the building. 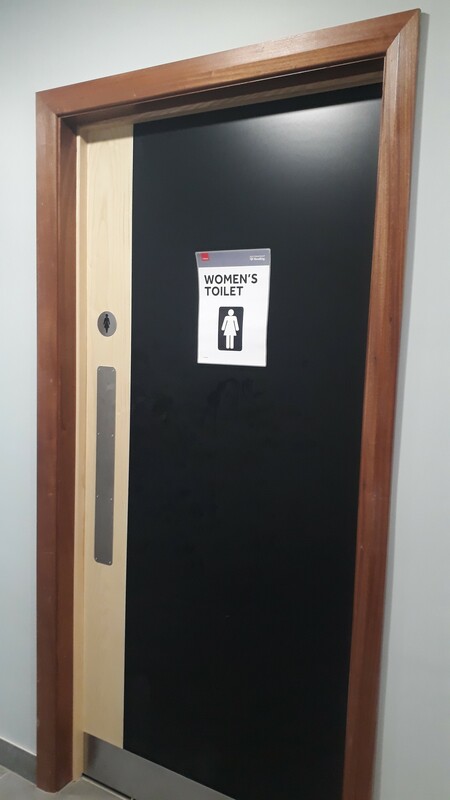 Don’t forget that the existing gender neutral and accessible toilets on the 1st and 3rd floors of the Library are still available for use. Check floor plans in the Library or ask a member of staff to point you in the right direction. Library gates activated. Remember your Campus Card! Tap your Campus Card to access security gates to enter or exit study and stock areas. 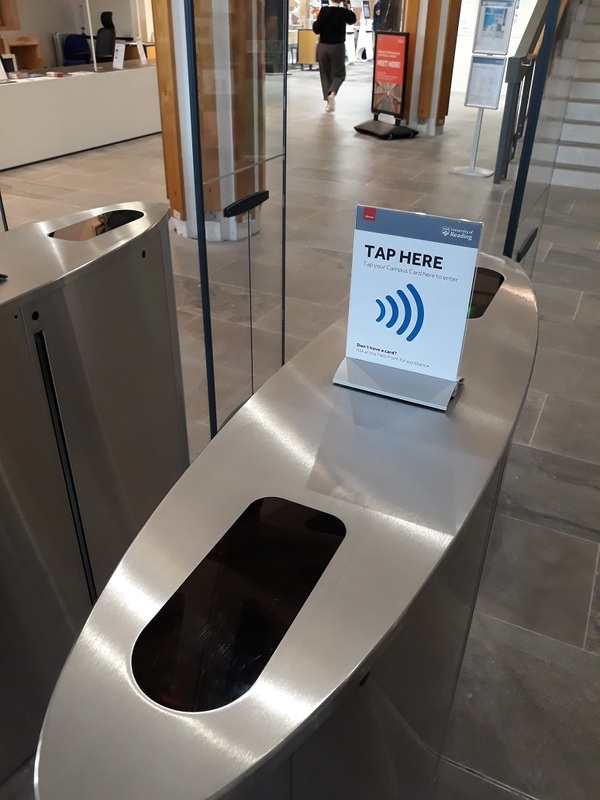 Library members: you can enter and exit just by tapping your Campus Card (the same one you use to borrow) at the gates …. so there’s nothing you need to do other than carry it with you. You already need your Campus Card to enter the Library@URS building overnight, at weekends and in the revision period when we restrict access to Library study space. If you experience any problems gaining entry with your card, please see staff on duty at the Help Point (to the left of the gates) who will be happy to help! Members of the public over 18: You are welcome to use and copy Library materials beyond our security gates weekdays (Monday to Friday, 09:00-17:00). Please talk to staff at the Help Point (to the left of the gates) who may ask you to provide identification, information about yourself and ask you to abide by Library rules. However, you now need to book ahead to gain access evenings and weekends (17:00-22:00 weekdays or 09:00-22;00 Saturday or Sunday). Please email library@reading.ac.uk telling us when you want to visit and we will arrange for Security staff to give you entrance between these times: if you have not contacted the Library beforehand you will not be admitted. Everyone can still use the Library Café and Ground Floor toilets, which you will find before you reach the barriers. Tap your Campus Card at Library building security gates to enter or exit study and stock areas. 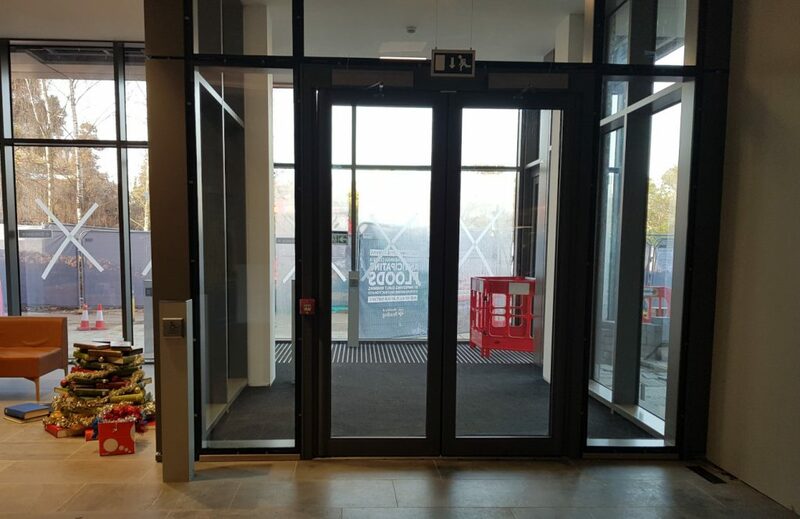 Get ready to carry your Campus Card with you when visiting the Library building to open the new access gates, installed as part of the University’s major Library Refurbishment Project. We initially kept them open so you had time to get used to new Ground Floor areas. Gates become operational from Monday 22 October to increase your security and prioritise study space for University members. Library members: you will be able to enter and exit, just by tapping your Campus Card (the same one you use to borrow) at the gates …. so there’s nothing you need to do other than carry it with you. You already need your Campus Card to enter the Library@URS building overnight, at weekends and in the revision period when we restrict access to Library study space. Visitors needing access to print material, and anyone experiencing any problems gaining entry with your card, please see staff on duty at the Help Point (to the left of the gates) who will be happy to help! You do not need your cards to use the Library Café and Ground Floor toilets which you will find before you reach the barriers. Easier borrowing at new Self-Service Points! 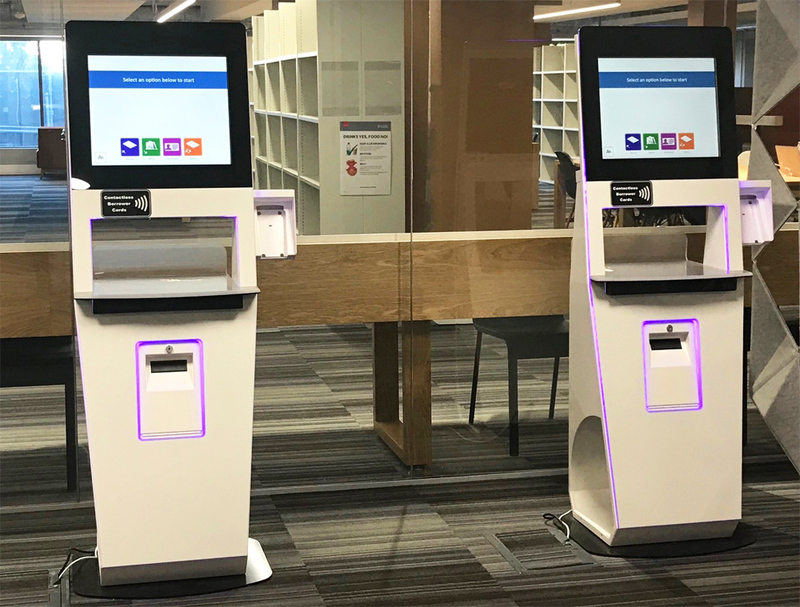 Following the re-opening of the Ground Floor and 1st Floors of the University Library Building, you can now borrow and return loans at new, updated Self-Service Points which make the process much easier! Checkout a stack of books at once. No need to scan each individual item! Email a receipt of checked out items to yourself, no need for printed paper receipts. As soon as you log in, you can check what you have out on loan and any holds available for you. If you need help, please ask a member of day-time staff to give you a quick demonstration of how the new machines operate. Please note that our older Self-Service machines are still in operation in Course Collection at Library@URS. 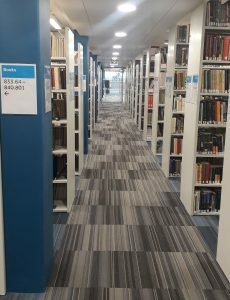 To keep up to date with the latest study space and Library refurbishment news, please visit the Library refurbishment webpage and this Library blog. From 1 October, the University has temporarily converted two more Library@URS rooms for teaching. 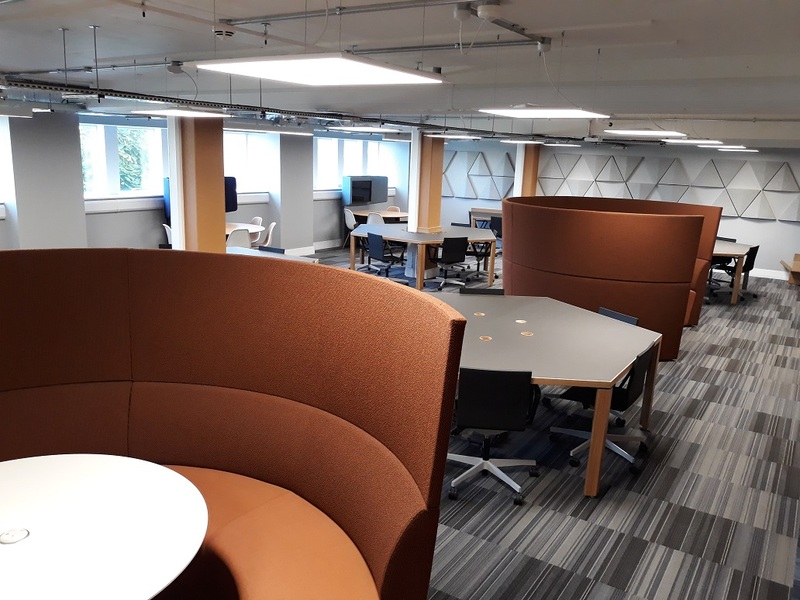 Although less study space is available here on term-time weekdays, remember you can use alternative study space available across campus, as well as the new group and quiet study areas recently opened in the Library building. 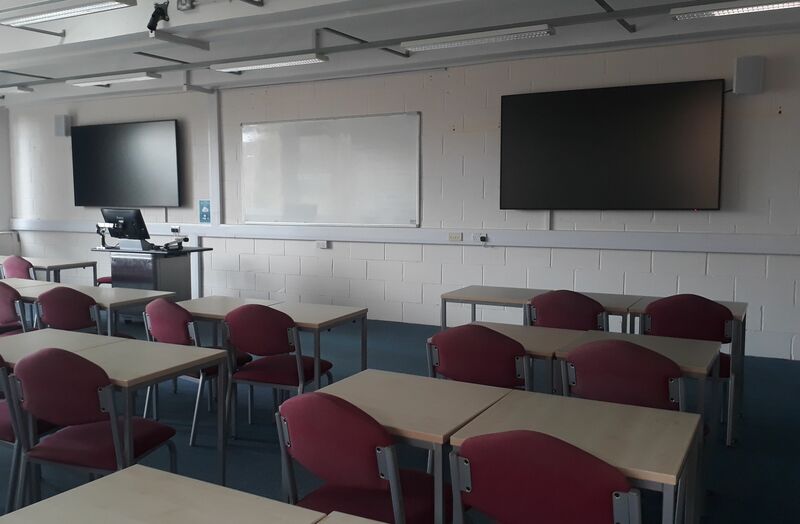 With the temporary closure of some teaching rooms in the Palmer building for remedial work, two of the rooms on the second floor of the Library@URS (2s21 and 2n09) have been converted to teaching rooms. When these aren’t in use for teaching they can be used for study. However, owing to fire regulations regarding the safe capacity of the URS building, more group study rooms on the second floor will be closed while teaching rooms and the Large Lecture Theatre may be in use. All group study rooms will be open for use from 18:00 on Fridays until 08:00 on Mondays during term time, as well as all throughout the vacations and summer term. All other quiet and silent study rooms on the north side of the building will remain open throughout. You can still use the group study rooms on the Library@URS ground floor. The Library’s newly re-opened Ground Floor offers quiet study seating options, while the 1st Floor provides a range of group study seating options. Please bear in mind that Library refurbishment continues on these and other floors until autumn 2019 and it will sometimes be noisy or disruptive. Read more about the newly opened spaces in the Library here. In addition to Library spaces, there are still around 1,500 study spaces available across the Whiteknights and London Road campuses. These are listed on the Student Services pages about alternative study space available across campus or the ‘Find study space beyond the Library’ section of the Library Refurbishment Project page. Do bookmark this on your laptop or mobile to find it easily later! Parts of the Ground and 1st Floors of the University Library building have reopened as our refurbishment progresses! 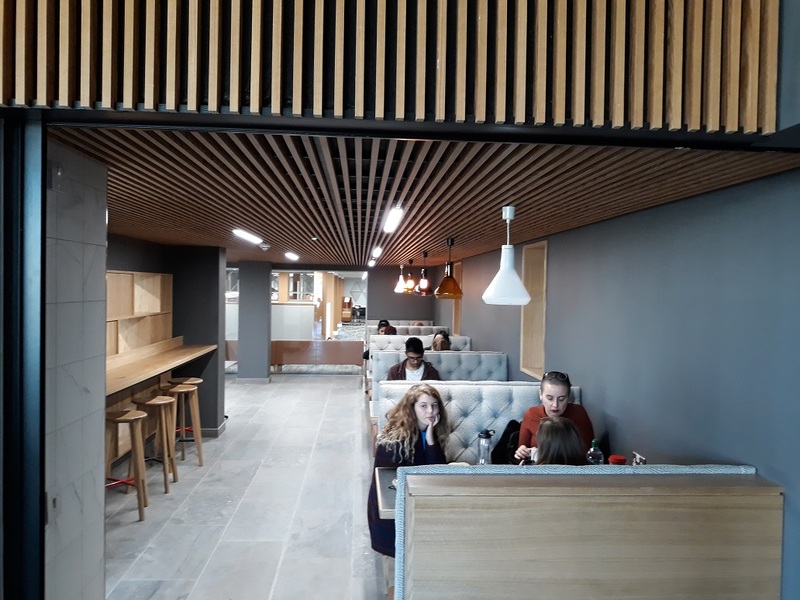 The ground floor has a brand new Library Café, which offers hot drinks made by a barista and a ‘grab and go’ menu – including sandwiches, fresh soup and toasties. Two Freestyle machines offer water and a range of soft drinks. If you would like to sit in the café, there are a range of seating options – including comfortable cushioned benches with plug sockets for phone and laptop charging. You will be able to order from a broader range of food and drink options. A limited menu of coffee, pre-packed sandwiches and snacks is available this week (Welcome Week) and the cafe will be open from 9.30 am to 4.30 pm. From Monday 1 October, the café will stay open later and close at 9.30 pm with the fuller menu available. The Library’s ground floor offers other study seating options, while the first floor offers a range of group study seating options. Students are welcome to use these study spaces (no food in these areas please! ), but please bear in mind that Library refurbishment continues on these and other floors until autumn 2019 and it will sometimes be noisy or disruptive. Therefore, study space and services remain in Library@URS for the whole of the academic year 2018/2019. Library@URS provides a quieter environment for study while still being close enough to borrow and use the Library’s printed materials. Students may also use the variety of alternative study space around the University.